Insurance benefits brokers know that using a good CRM system can make them more productive. But, finding one can be easier said than done. A good CRM system can help any business quickly identify new sales opportunities, manage follow-through from lead to close, and nurture existing customers. But the methods and terminology used in the insurance industry for employee benefits brokers are unique. Not using any system is ineffective. Just choosing an off the shelf CRM system can prove to be disappointing. But building a custom solution written just for your company can be prohibitively expensive. Let’s compare the options and the solution. Without a good CRM solution, it is common for employee benefits brokers to rely on a mix of Office suite programs like Microsoft Excel and Microsoft Outlook for information management; including, contact management, email communication and scheduling. . Most brokers also use an assortment of physical aids and filing systems, for example, filing cabinets, desk drawers or manila folders in common areas. Not having a secure process and storage location for contractual insurance documents presents many risks, and possibly HIPAA violations. Managing without a CRM system oftentimes creates siloes of information that may serve individual people, however, information siloes are always counterproductive for the agency at large. When data needs to be entered in different places it greatly increases staff workload and the likelihood of human error, which in turn, presents risk to the agency. Brokers who choose to use an off the shelf standard CRM system have a better experience compared to not using anything, but the unique methods and terminology of your specific business greatly limit the value of such systems because they too are designed for the broadest range of uses and business types. Businesses cannot shoehorn a CRM system into their organization because it can quickly turn into a disruptive and expensive mistake. A software system that is built just for your company is going to be expensive and time-consuming to build. It can also be difficult to maintain and support if the original author of the software is unavailable. Custom-built standalone systems have three major drawbacks which call into question their value for employee benefits brokers. First, the systems are rigid, meaning that any flexibility they have for client customization is negligible, if it even exists. Second, the ability to seamlessly interact with a client’s other software is limited. This means that like other standalone solutions the data must be re-entered in different places with the related problems of extra work, more mistakes, and inefficiency. Third, standalone systems can be quite expensive to design and maintain. The best solution for employee benefits brokers is to invest in a flexible CRM system that has been specifically adapted for your industry. Be flexible. Too often, we see benefits brokers purchase a CRM system designed for the benefits broker industry that is so rigid that they end up spending a lot of time and money trying to adapt their agency to the software. It never works. Leverage the significant existing core benefits of CRM, while extending the scope to suit the special needs of benefits brokers. Productivity tools delivered by CRM are industry agnostic. Workflows, activity management, marketing and lead management, dashboard and reports, etc. are delivered as core CRM features and can easily be adapted to the business. It is equally important to invest in a CRM platform from an established software company that you trust and is likely to be around for as long as the software will be needed. It is also vital to consider the scale of the user community and the business implementation partner’s availability to assist you in supporting your changing needs as they arise. No business should risk finding itself dependent on mission-critical software that was developed by a company that is no longer around or has poor or lacking customer service. Be able to generate complex proposals based on those assessments. Provide visibility across the agency. The nature of the benefits broker business is such that mistakes or oversights can potentially have huge financial and legal implications - an issue made more acute by the enormous variety and complexity of available options. For that reason, the security of any customized CRM system for brokers must be more rigid than systems built for a less sensitive industry. clearly flag all important actions and events well in advance. It must also have a robust and adaptable workflow engine to automate repetitive tasks and create process consistencies that save time and minimize the risk of human error. An integrated CRM solution like this can address brokers’ unique requirements in a way that no out-of-the-box software can. As well as being cost-effective from day one, an integrated CRM solution for your industry is an investment that continues to enhance the bottom line for as long as it is used. An integrated CRM systems for the benefits brokers industry that can incorporate all those features is only possible if it was designed by software and business professionals who fully understand the industry as well as the adaptability of the underlying software platform. Crowe BenefitsBridge is a highly flexible agency management solution customized for the benefits broker industry. 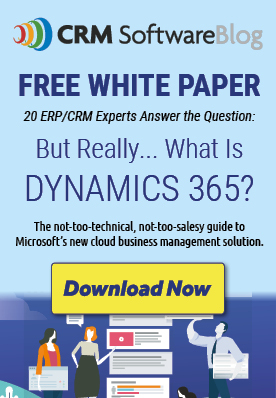 It sits on top of industry-leading software, Microsoft Dynamics 365 (formerly Microsoft Dynamics CRM). It was designed to help employee benefits brokers manage clients, insurance carriers, policies, plan rates, renewals, and commissions in addition to leads and opportunities. The tool integrates Microsoft tools for familiar and intuitive ease of use. With visibility across your sales, marketing, and support functions, you can save money and gain better client insights. Watch a Crowe BenefitsBridge overview video. Crowe Horwath works with insurance agencies looking to drive measurable improvement in every business process, enable closer client relationships, and help any agency achieve new levels of profitability. If your agency is interested in evaluating Microsoft Dynamics 365 with Crowe BenefitsBridge, contact us today.